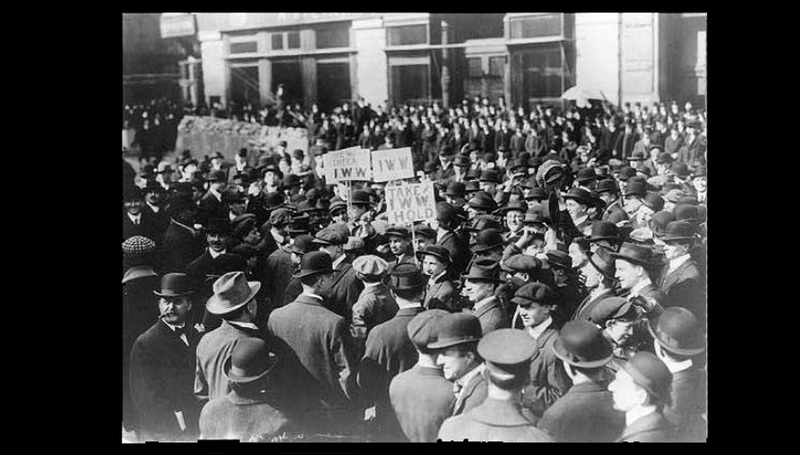 IWW demonstration in New York in 1914. 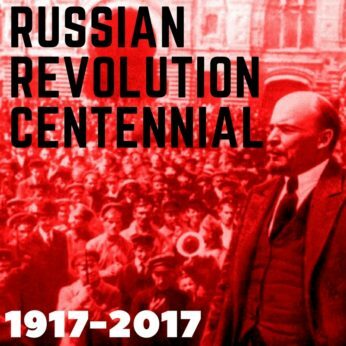 The Russian Revolution of 1917 was used as an excuse to crack down on labor organizations like the IWW. | George Grantham Bain Collection/Library of Congress, Washington, D.C. The Palmer Raids. Deportation of Alexander Berkman and Emma Goldman. The roundup of thousands. The federal crackdown on the Socialist Party, the Wobblies, the Communist Party and the nation’s unions. J. Edgar Hoover. And 5,000 U.S. troops invading Murmansk, with 8,000 more in Siberia. 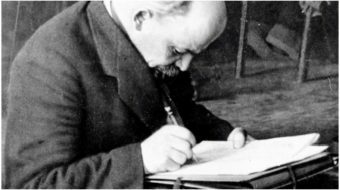 The October Revolution which brought the Communist Party — or, to be precise, its Bolshevik wing — to power not only changed the nature of the government in Russia, but also helped change the actions and the nature of the federal government in the U.S. Some of the changes persist to the present day. Before the revolution – indeed, prior to World War I – anti-immigrant hate by nativists and White Anglo-Saxon Protestants agitated about “Communism” in the U.S. Their know-nothingism and hate extended all the way back to the 1850s and before. But in the run-up to the war, the haters targeted Italians, Russians, Poles and Jews. That was no accident: Immigration to the U.S. peaked at 1.285 million in 1904 and again at 1.218 million in 1914. In the latter year, 44 percent of emigrants came from Russia, including the Baltic States, and “other Central Europe” outside of Germany, especially Poland. Another 23 percent came from Italy alone. That followed a 40-plus-year pattern of huge immigration from those regions. The nativists and WASPs responded first with a 1905 immigration law, rejecting and returning newcomers – principally the Southern and Eastern Europeans – judged likely to become “public charges.” Eventually, starting on Jan. 1, 1924, another anti-immigrant law would virtually slam the door completely on non-WASPs from Europe and Asia for the next 41 years. The nativists and WASPs also rolled “Communists” from those European countries together, with other “foreign elements,” including Socialists, anarchists and union members, tarring all with the same “radical” slur. That attitude, combined with the counter-reaction to World War I, led to the organized federal crackdown. That crackdown attitude against the “other” has persisted, with variations, in one form or another and targeting one “out” group or another, for a century. Before then, except for the 1893 Pullman strike, the federal government took infrequent nationwide action against so-called radical elements, including organized labor, unless prompted. Gilded Age capitalists such as Henry Frick, Andrew Carnegie, John D. Rockefeller and George Pullman often enlisted or bought the willing cooperation of state and local officials and recurrent and sometimes fatal brutality of police and Pinkertons against unionists and “radicals.” Citizens turned vigilantes, lynching Industrial Workers of the World leaders Frank Little in Montana and Wesley Everett in Washington. All that changed in 1917, when the U.S. entered the World War. Then-President Woodrow Wilson “considered virtually every act of Congress a measure of patriotism,” says historian A. Scott Berg in his recent one-volume biography of the wartime president. Wilson’s government acted accordingly. “To ensure soldiers had the complete support of Americans at home, Congress passed the Sedition Act on May 16, 1918,” Berg continued. “This amendment to the Espionage Act of 1917” – a law still in effect – “further curbed citizens in expressing political opinions.” Another law censored and banned publications sent through the mail. The war prompted the laws; the “Reds” were the victims. The first victims of that “Red Scare” were anti-war groups and individuals, notably the Industrial Workers of the World (Wobblies), the Socialist Party, and its leader, Eugene V. Debs. Convicted and jailed in 1918 on 10 counts of violating the Espionage Act, Debs would serve more than three years of a 10-year-term. Separately, 14 Wobbly leaders were convicted of sedition and incarcerated. Prison didn’t prevent Debs from racking up 913,664 votes (3.64 percent) as the Socialist nominee in the 1920 presidential election, on a platform denouncing “despotism, reaction and oppression unsurpassed in the annals of the republic.” Debs’ high vote total excited further fears of radicalism among the elites, the WASPs and the federal government. The judiciary was of little help. Debs’ case reached the Supreme Court, which ruled unanimously against him, with Oliver Wendell Holmes, thought to be a progressive, writing the opinion. After comparisons to “falsely shouting fire in a theater and causing a panic,” Holmes added: “When a nation is at war, many things that might be said in a time of peace are such a hindrance to its effort that their utterance will not be endured…” historians Winfred Harbison and Alfred Kelly wrote in The American Constitution. But while the Wobblies and the Socialists were the first victims of the federally orchestrated crackdown on dissent, alleged “Communists” were next and the roundup was larger – with the fear of the Russian Revolution as the cause. Wilson himself shared Holmes’ sentiments, in almost the same language. “I do not fear Bolshevism, but it must be resisted,” he added. Wilson’s deeds often stood opposite to his words. “We will not deport anyone simply because he has been accused, or is suspected of being a Red,” he said in early 1919. But Wilson gave Palmer free rein and the “Palmer Raids” arrested at least 10,000 people. The feds also deported Goldman and Berkman, both self-proclaimed anarchists. 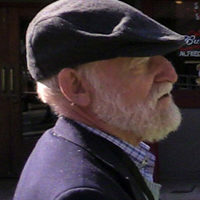 Berkman had served a jail term for attempting to assassinate Frick. 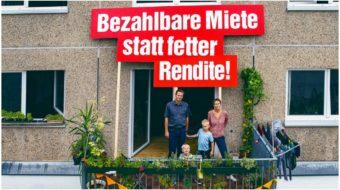 The deportations too changed the nature of the federal government, setting precedents for future evictions on political and/or ideological grounds. Those tossed out included Marcus Garvey in 1926, allegedly for mail fraud, actor Charlie Chaplin in 1952 – who technically was barred from re-entering the U.S. – and anarchist activist Mollie Steiner in 1921. She was deported back to Russia. And Palmer replaced the first director of the then 10-year-old Bureau of Investigation – renamed the FBI in the 1930s — with his #2, J. Edgar Hoover. The rightist FBI chief saw “Reds under the beds.” He began pursuing people he called Communists. His witch hunts continued for his entire 52-year reign. After the Russian Revolution, 2,000 cases involving the Espionage Act, deportations or both, wound up in U.S. courts, Kelly and Harbison reported. The defendants lost virtually every one. Even more people would have been deported had not Wilson’s Labor Secretary, Louis Post, tossed out hundreds of cases for lack of evidence, Berg added. That undid the repression case by case, but didn’t change the policy. Historian James Bovard, writing recently for the Canadian-based Centre for Research on Globalization, put Hoover at the center of the Palmer raids, initiated after an unknown radical tried to bomb Palmer’s townhouse in D.C. There were also other bombings around the U.S. In the D.C. case, only the radical was killed, by tripping over a step, prematurely setting off the bomb. Palmer and his family weren’t home, but his house windows were shattered, as were those of homes nearby, including FDR’s. The key point was the policy itself: Most of the “suspected Reds and radicals” Hoover and Palmer rounded up were Jewish or Italian or union members or combinations of those characteristics. “Palmer sought to use the massive roundups to propel his presidential candidacy. The operation took a drubbing, however…after U.S. District Judge George Anderson demanded Hoover and Palmer provide evidence justifying the roundups and deportations,” Bovard added. They couldn’t. That didn’t stop the two from arresting “radicals,” and deporting Goldman, Berkman and others. Judge Anderson said the department “created a spy system that destroys trust and confidence and propagates hate. A mob is a mob whether made up of government officials acting under instructions from the Department of Justice, or of criminals, loafers, and the vicious classes,” Bovard reported. Facing criticism and resistance, Palmer and Hoover turned to wiretapping lawmakers thought friendly to the Soviet Union. Goldman was among the deportees. A month after her release from prison in October 1919, she went before an immigration judge at Ellis Island for a hearing on her ejection as “an undesirable alien,” according to a summary of her papers, now at the University of California at Berkeley. Judge Anderson was the exception to the rule that the judiciary did not stand up to the government’s new direction. In their book, Kelly and Harbison reported a 1919 Supreme Court case involving pamphlets denouncing the dispatch of the 13,000 troops to support the White Russians in the civil war there. The pamphlets demanded the federal government “cease murdering Russians” and called for a general strike by U.S. workers to achieve that goal. The justices not only upheld the conviction of the distributors for breaking the Sedition Law, but the statute itself. The court, 7-2, said the pamphlets’ purpose “was to excite at the supreme crisis of the war, disaffection, sedition, riots and revolution.” Holmes and Justice Louis Brandeis dissented. The wartime sedition law remains on the books a century later. It too is a major change in U.S. government policy. Presidents George W. Bush and Barack Obama have used the law to prosecute journalists for leaks and to pursue leakers as “national security” threats. The dispatch of the troops to Russia was a major blunder in and of itself, but also a symptom of the change in the federal government as a result of the Russian Revolution, writer Bill Fawcett added in 100 Mistakes That Changed History. After lobbying by the British and French, who feared Communism would spread from Russia to Germany to them, the U.S. Army invaded and occupied Murmansk in 1919 to aid the two European nations and the White Russians, Fawcett wrote. Decades later, their revolution won, Russians remembered the U.S. invasion, both there and in Siberia, and held it against the U.S.
U.S. soldiers wound up staying in Murmansk for more than a year. Troops went to Siberia to aid the White Russians by protecting tons of U.S. supplies stocked along the Trans-Siberian Railroad. The goods, up to and including locomotives, were stored there for use by the prior Russian provisional government, which Wilson expected would stay in World War I on the allies’ side. What he did not say: Like other effects on the U.S. from the Russian Revolution, the military occupation of Murmansk and Siberia also became a precedent for future U.S. interventions specifically in other nations’ civil wars – an intervention policy continuing to the present day.